Secretary of State John Kerry's remarks on Syria Monday left little doubt the United States would deliver a punishing response to Syria's use of chemical weapons, calling the facts "undeniable" and warning the regime of President Bashar al-Assad must be held accountable. Laying out a moral case for eventual military intervention, Kerry called Assad's attacks against civilians "a moral obscenity" that "should shock the conscience of the world." 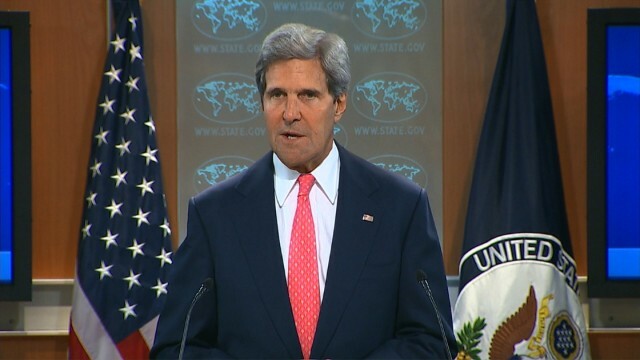 What is happening on the ground in Syria, Kerry said, "is real and it is compelling" and demanded a response from the international community. Defense Secretary Chuck Hagel, in Indonesia Monday, said "if there is any action taken, it will be in concert with the international community and within the framework of legal justification." 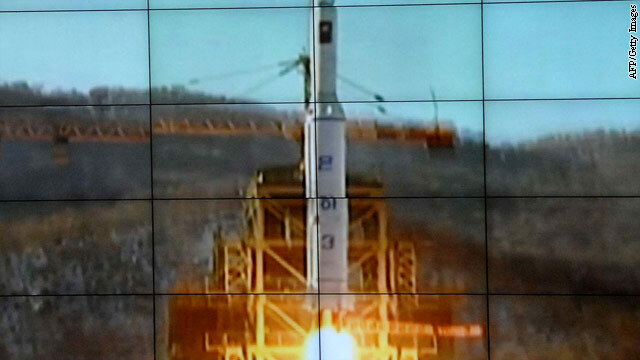 This picture received from North Korea's official Korean Central News Agency (KCNA) on December 12, 2012 shows the rocket Unha-3, carrying the satellite Kwangmyongsong-3, being monitored on a large screen at a satellite control center in North Korea. North Korea says a new nuclear test will be part of fight against U.S. The most senior Syrian diplomat to defect and publicly embrace his country's uprising is calling for a foreign military intervention to topple president Bashar al-Assad. Nawaf al Fares spokes to CNN's Ivan Watson in Doha, Qatar. Fares also accused the Damascus regime of collaborating with al Qaeda militants against opponents both in Syria and in neighboring Iraq. The U.S. ambassador to the United Nations warned that should the current plan fail in Syria, the world is facing a 'worst case scenario' of intensifying civil strife. Ambassador Susan Rice told CNN's Wolf Blitzer that that there needs to be "maximum international pressure" on Syria's president by the United Nations Security Council "including sanctions and potentially other steps." "Should all of that fail or not be possible because it perhaps would be vetoed again, then we're into a situation which is chaotic," Rice said in the interview that aired Wednesday on Situation Room with Wolf Blitzer.